It doesn’t matter what breed, discipline or saddle you ride – come improve, advance, and build confidence in your horsemanship! Must provide 14 foot lead rope, stick and string training tool. Under 18 helmets required. Download the entry form, info page, and release and hold harmless agreement. with questions or to sign up. 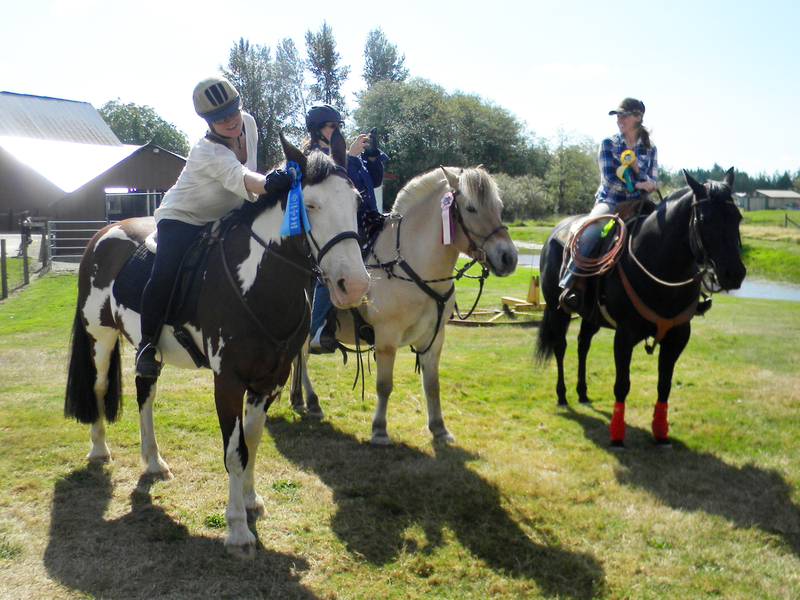 Whether you are a youngster with your first lesson pony or a re-rider with a seasoned trail mount, there is something for everyone. 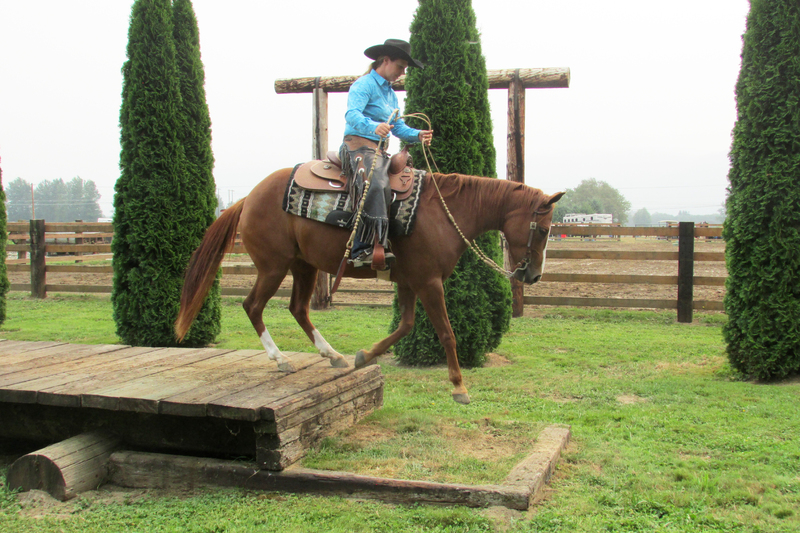 Modified AQHA patterns for those with limitations. Age divisions for youth, young adult, and senior riders. 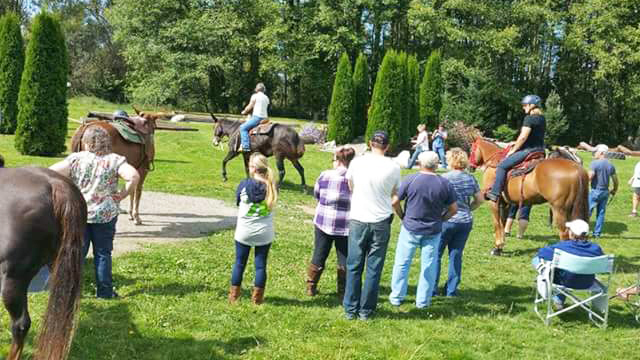 Trail course patterns suited for both inexperienced horses and those ready for more advanced obstacles and more complicated ways to navigate them! 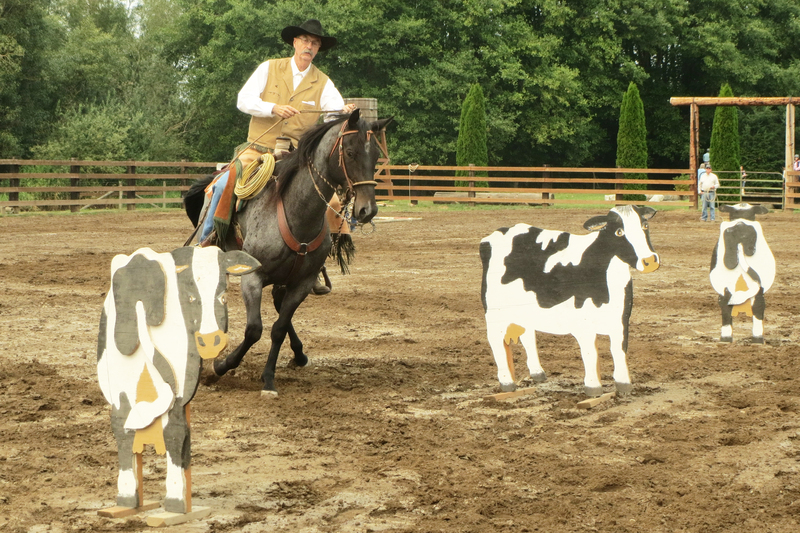 Ranch Riding simulates working ranch activities, such as maintaining a steady gait, making agile turns to follow livestock, and being responsive to the rider’s aids. 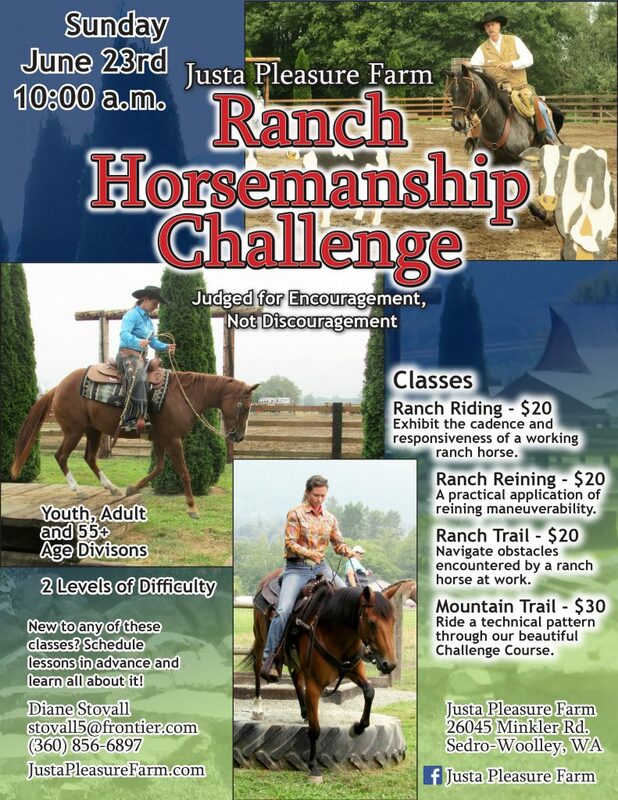 Ranch Reining is intended to showcase the working horse’s smoothness, finesse, attitude, quickness and authority in performing the various maneuvers while using controlled speed. Ranch Trail takes a horse through obstacles one might encounter doing a day’s work on an active range — navigate gates, fallen branches, bridges, and even a few wooden cows. 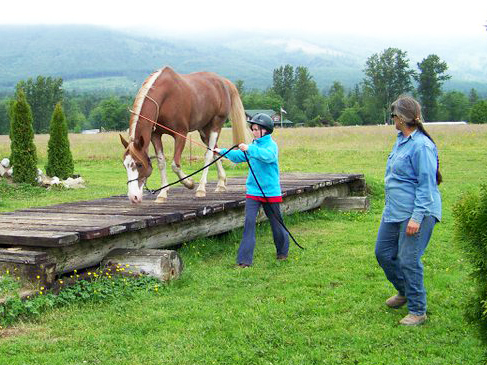 Mountain Trail utilizes our beautiful outdoor trail course to challenge your equine with water crossings, rocky footing, bridges, logs, trees, and ditches.